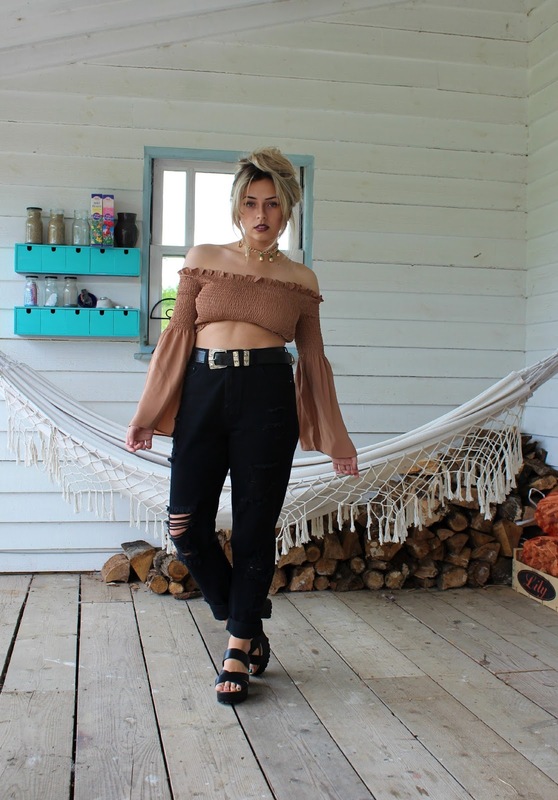 One thing I had never owned in my wardrobe until a couple weeks ago, BLACK MOM JEANS. It's SO damn hard to find a decent pair that fits in all of the right places, right girls? 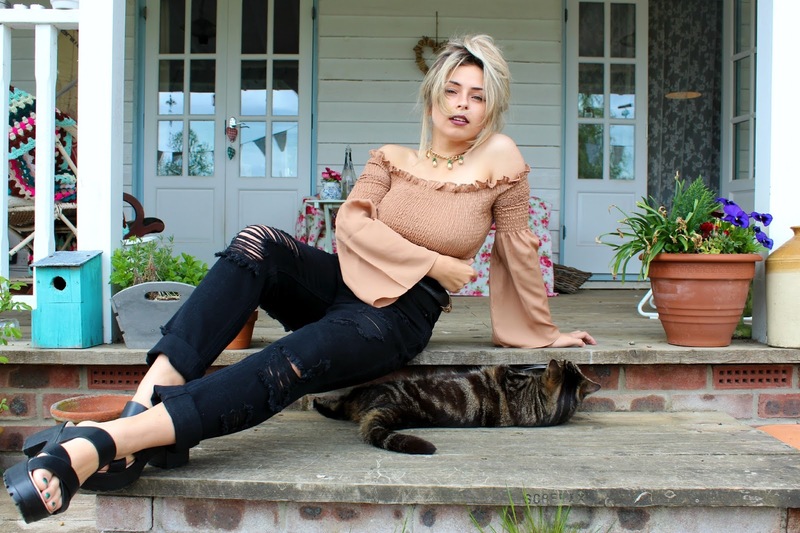 These Missguided beauties fit like a DREAM! The Size 10 fitted me great. 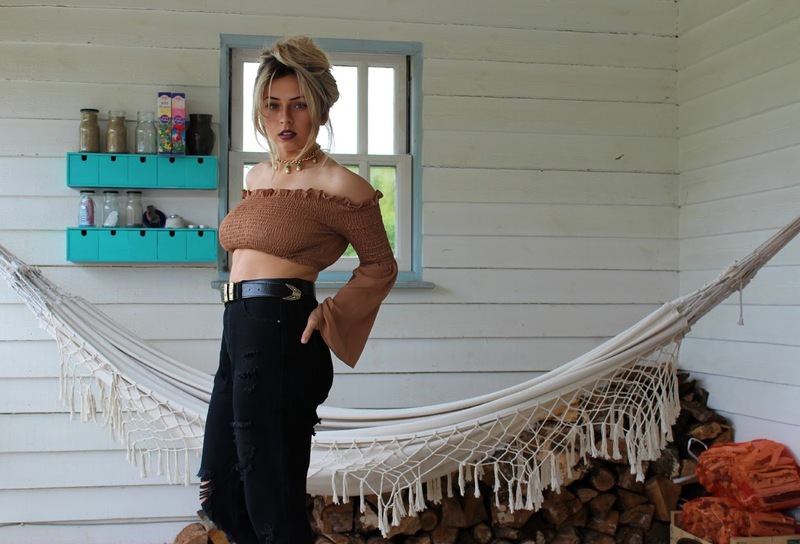 Uh, so can we talk about how fabulous this bell sleeve crop top is? I feel like I could play the part of Juliet in this sweet number. I purchased the size 8 in this, I wanted it to be super fitted, and it sure was. SAFE TO SAY IT FELT AMAZING. Sticking to the gold vibes, I had to of course team this outfit with my favourite Boohoo belt. It really draws in the outfit attracting a lot of focus to the center of my body. 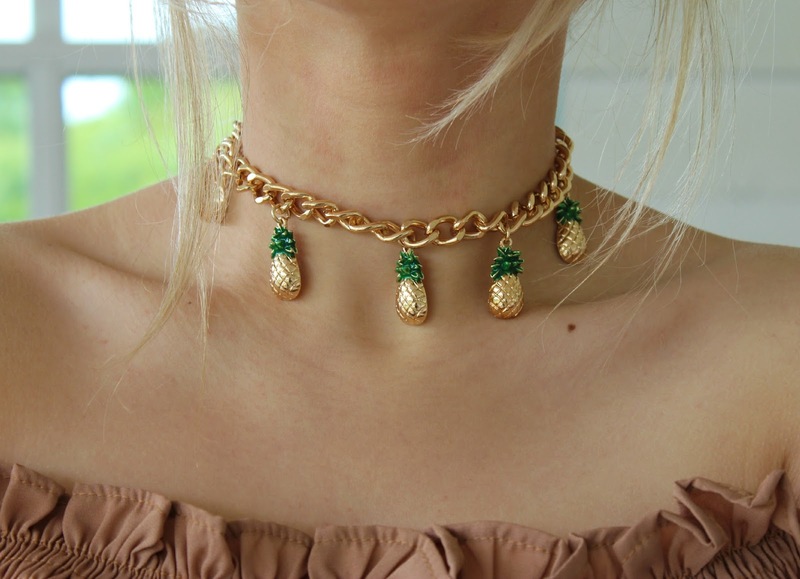 I LOVE this Primark pineapple choker chain too, don't you? How fabulous for only £4! I have those jeans too! Missguided definitely do the best ones... Lovin' this! 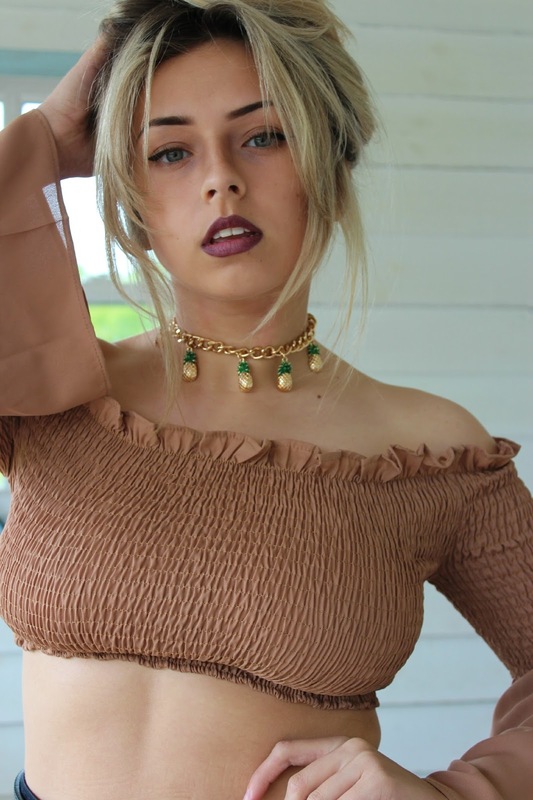 i love this top and the choker!